The showcase section of the forums is my favorite part, so I thought I should post some screen shots of one of my WIP ogre projects. 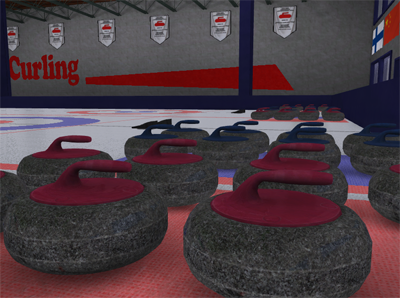 This is an unnamed curling simulator. I started this second game project to help solidify my game engine. 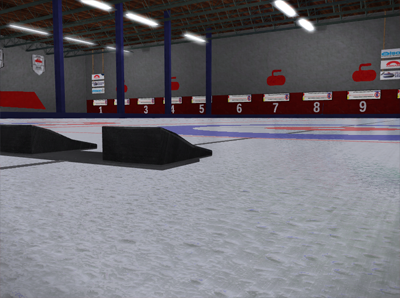 Showing off the pebbled ice shader. 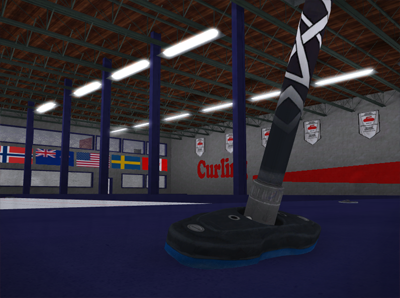 Curling stones with AO enabled. Quick match, team selection. Allows for hot seat. Shooting UI ( no compositors enabled ). No kidding. 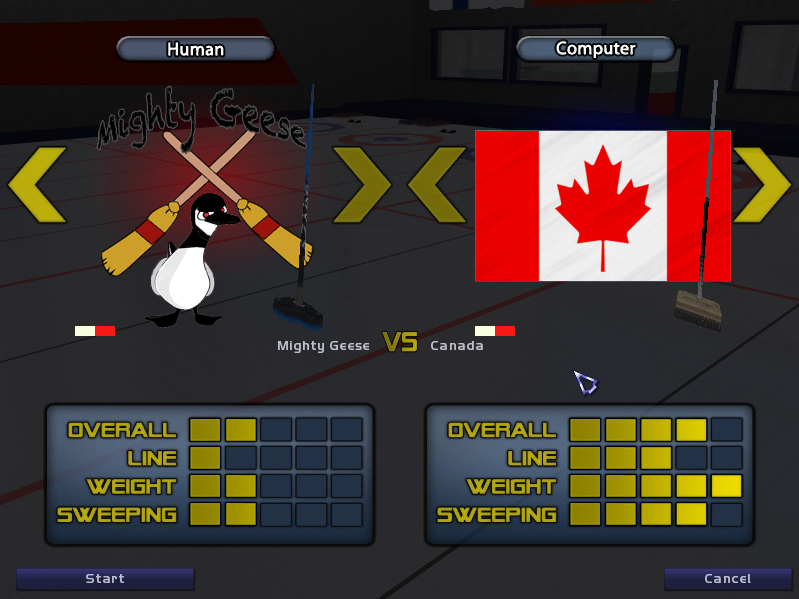 I think it's the only curling game that I've ever seen. Great work! Nice work Rambus. Looks solid. Haha, I like how the responses so far are from a guy from Canada, a guy from Minnesota, and a guy from Russia. 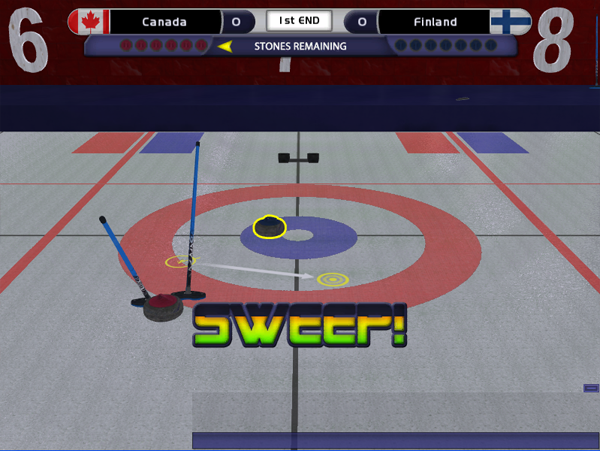 Everyone else is like, "WTF is curling?" Looking good already. Hot switching the physics implementation sounds like a great feature . BTW: What GUI library was used? I really like the left power/force (?) widget in the last screenshot!!! @Spacegaier - The gui is built on top of MyGui. In the power/curl UI the stone is actually live rendered, so as it rotates the reflection changes. Edit: The yellow line is just a quad with an animated stipple shader on it. 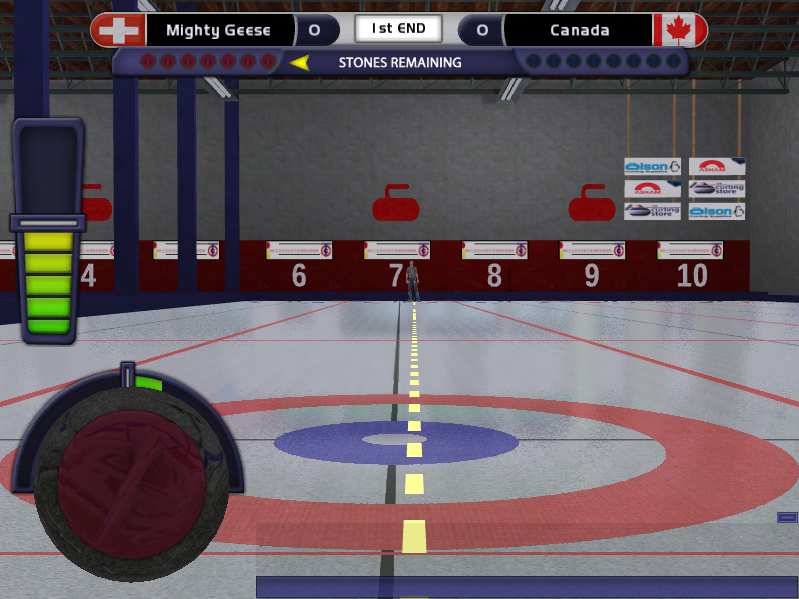 heh, the screens look amazing, but a Curling game, really ?